A photograph of Reverend Jerome Causin Berryman who was born in 1810 in Kentucky. He came to Kansas in 1833 to establish the Kickapoo Indian Mission near Leavenworth. 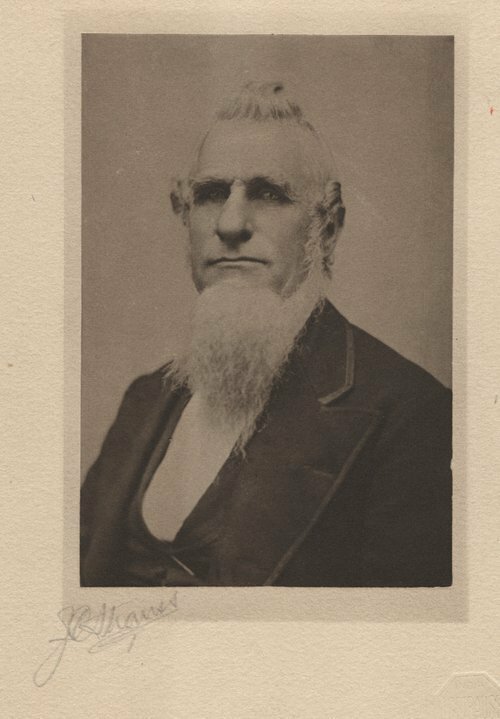 In 1841, he became superintendent of the manual labor school at the Shawnee Methodist Mission. He later moved to Missouri and established a high school in Arcadia. Berryman died on May 8, 1906, at Caledonia, Missouri.